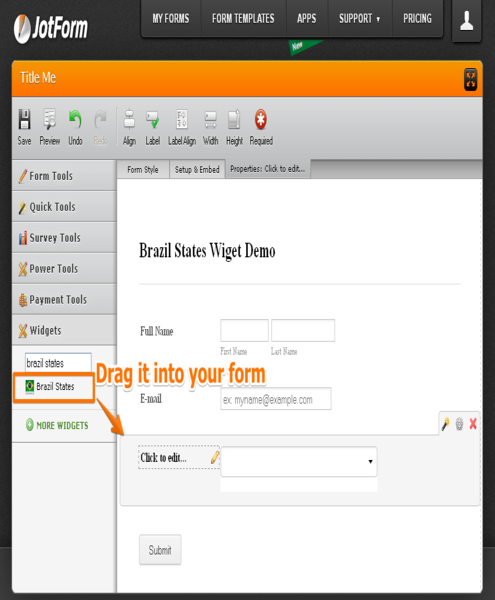 No more waste of time copying and pasting your Brazilian states list into a drop-down field. 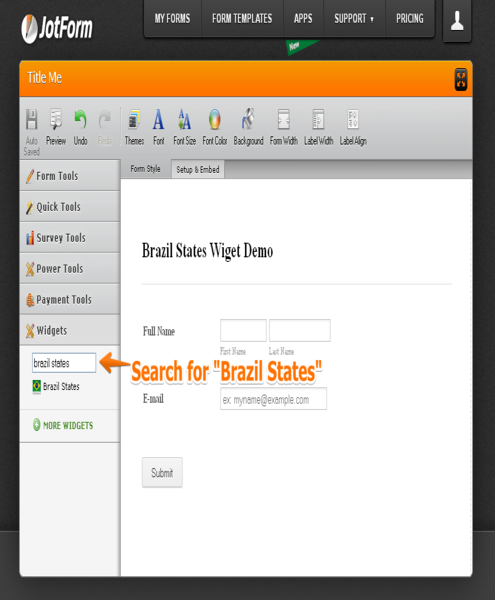 Now with &amp;amp;amp;quot;Brazil States&amp;amp;amp;quot; widget you will save all that work. 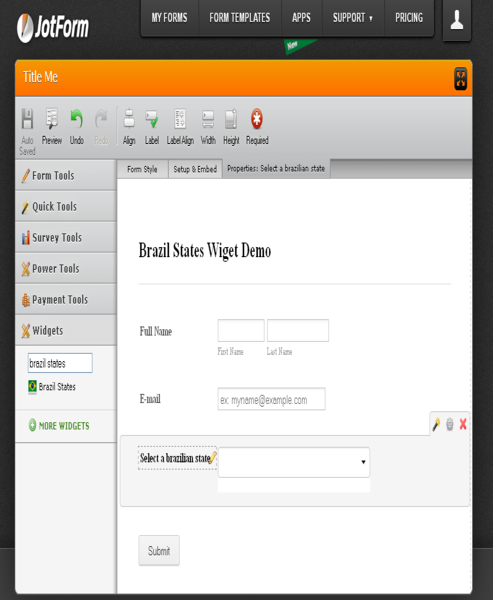 Just search for the widget in the widget search bar and then drag it into your form and that&amp;amp;amp;amp;#39;s it! You are done! 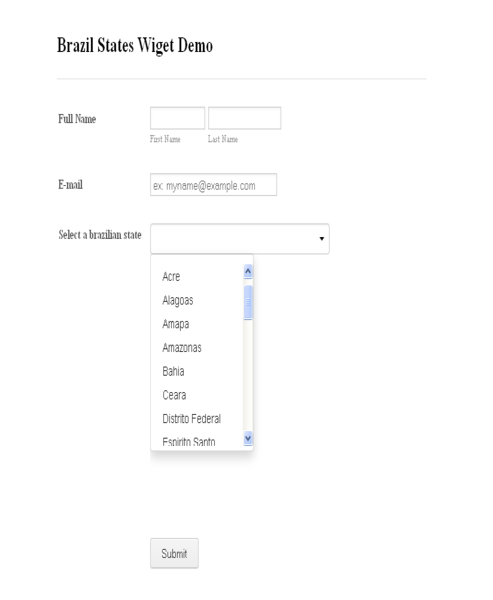 This should be integrated with address input.